What child doesn’t love a bit of indoor cubby play? No need to throw a sheet over a couple of chairs – this beauty packs up for easy storage, and sets up in minutes for some great rainy day play. 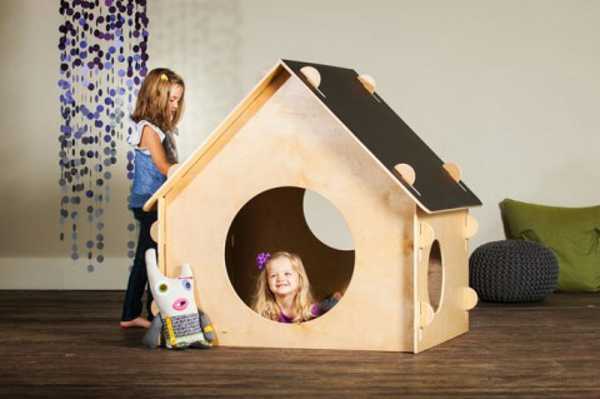 The Chalkboard Playhouse is a flat pack cubby, with the fabulous addition of a chalkboard roof. But for a child the playhouse is a castle, a cave or a pirate hold. The interlocking walls mean it’s pretty easy to put together, without any tools. It’s made from sustainable Birch plywood sourced in the US, and comes in a large and mini size. I love the circular openings, which encourage crawling and pretend play, and the chalkboard roof makes it a multi-use toy – something else to love! 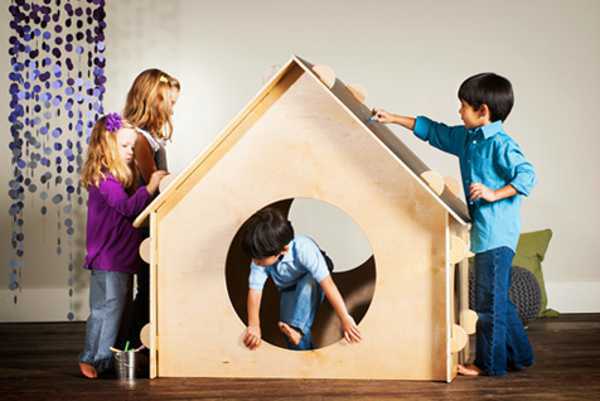 The large playhouse is US$650 and the mini is US$400, and both are intended for indoor use only. Contact A Place Imagined directly to organise delivery to Australia.